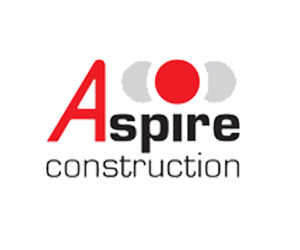 Aspire Construction’s dedicated team of time-served tradesmen includes multi-skilled in-house and specialist external sub-contractors who have a wealth of experience in all aspects of construction and building works. With our construction and building division we are well placed to complete a broad range of on-site tasks making us a number one choice with principle contractors. We take great pride in the quality of work we produce on behalf of both commercial and industrial clients across the UK. We are a customer-oriented business producing quality workmanship and cost-effective solutions for our clients. Our dedicated team of tradesmen includes multi-skilled in-house and specialist external sub-contractors. We utilise the latest materials and equipment in order to ensure that we deliver professional service. Whatever you wish to achieve, you can depend on our client-focused team to offer that personal touch. We have carried out contracts for some of the country’s leading blue chip construction companies, this requires us to maintain a high level of health and safety. We invest heavily In training and educating our operatives to the highest industry standard, enabling us to promote a safe working culture amongst our staff. We are a customer-oriented business producing quality workmanship for our clients and offering alternative time and cost-effective solutions to problems. We are small enough to care and yet big enough to cope, enabling us to provide clients with a level of service which is only usually offered by much larger companies. Whatever you wish to achieve, you can depend on our client-focused team to offer that all-important personal touch. We recognise that close attention to detail is vital to achieving client satisfaction which is why most of our work is a direct result of repeat business. Aspire Construction’s dedicated team of time-served tradesmen includes multi-skilled in-house and specialist external sub-contractors who have a wealth of experience in all aspects of construction and property maintenance.